Chito and Pocho playing together. 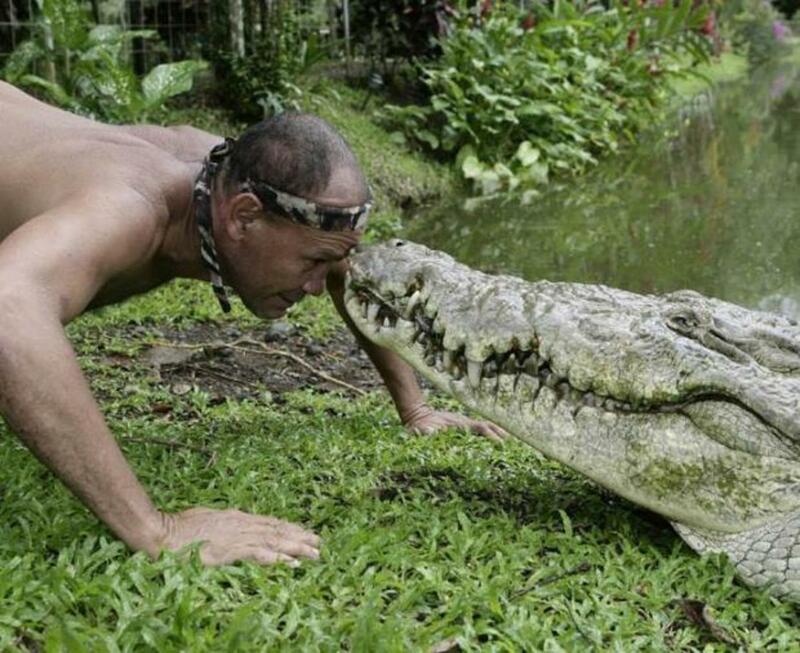 This incredible friendship between Pocho the big, salt-water crocodile and his human friend, Chito, has to be one of the rarest of all man-animal relationships. Along with the Great White Shark, the Crocodile is probably the most feared predator in the world. Welcome to The Australian Crocodile Whisperer. 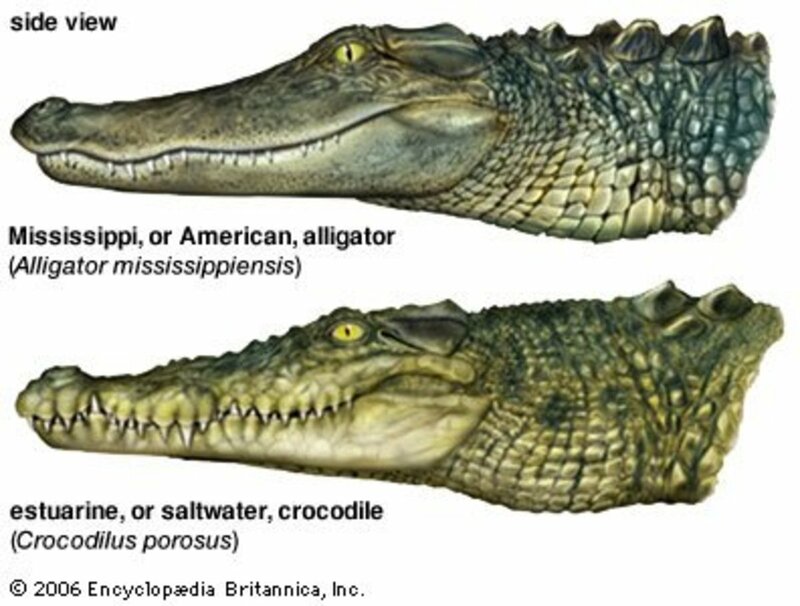 Along with the Great White Shark, the Crocodile is probably the most feared predator in the world. They’re dangerous- very dangerous. In Australia, the ‘big salty’ (salt-water or estuarine crocodile) is known to be our nation’s only really dangerous-to-human animal. And rightly so, for many a man and woman have been taken over the years. Even the most fearsome beasts can be tamed. Yet here we have something so astounding that, at first, it seems unbelievable. I certainly would not have believed it. But here are the photos, and unless they’re fakes, and I don’t think they are, that prove that even the most fearsome of beasts can be tamed. No, tamed is not the word. You could say, and it’s something that I never suspected before, that all creatures have within them what can only be termed as goodwill or love. We know that fear is the opposite of love. So when fear is removed, totally removed, there is nothing left but love. 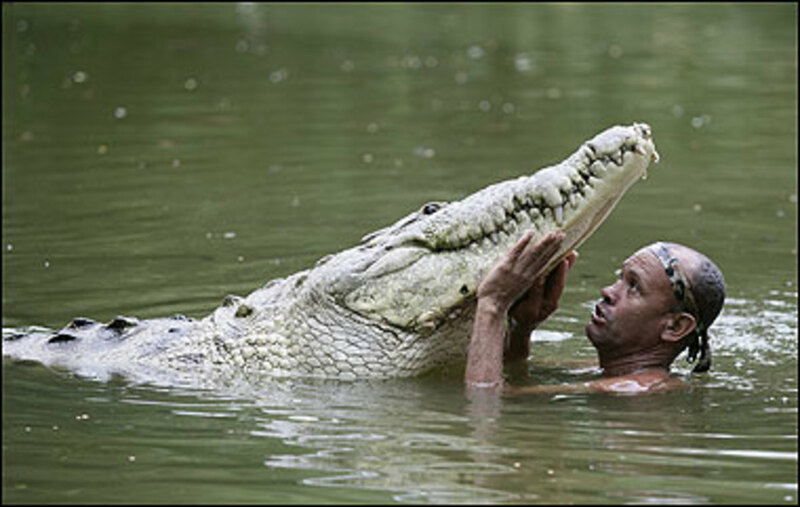 And here we have one of the most fearsome creatures of all – a huge crocodile and a man who have become friends. Chita and Pocho swimming together. Even a baby salt-water croc can be dangerous. It does seem incredible. I can recall the in-borne ferociousness of even baby crocs. For example, I can remember some drunk had placed a six-inch-long baby salt-water crocodile among some water lillies in a big flower-pot outside of the hotel in Madang, Papua-New Guinea when I lived there in 1964. The drinkers used to stir up this little creature, annoy it, by sticking a finger in the water and endeavouring to get it to attack. 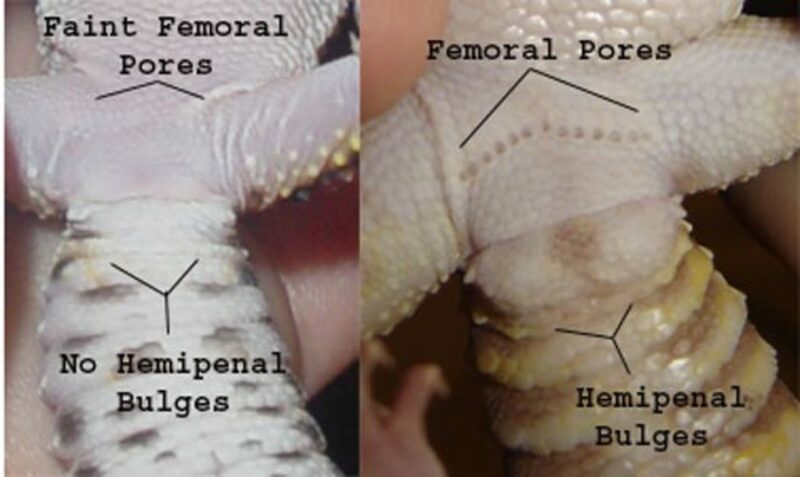 Well, one day a fellow was a little too slow in taking his finger out and this tiny croc bit his finger to the bone. Blood everywhere! An attacking croc can move at incredible speed. Big 'salty' attacks four-wheel drive vehicle. There was another incident, heresay but very quite likely true, of a huge croc attacking a four-wheel drive as it crossed a causeway up there in New Guinea. It crabbed and shook that Landrover and frightened hell out of those inside it, before realizing the vehicle was just too heavy for it. 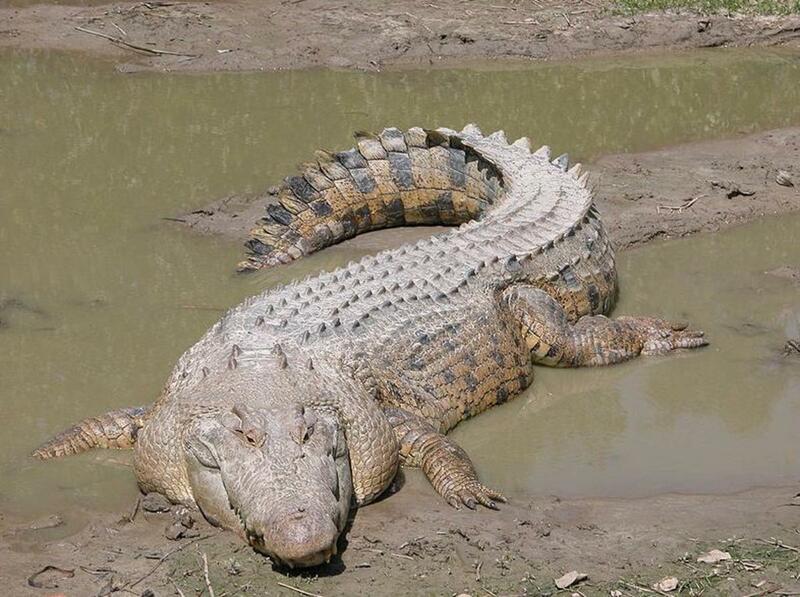 Big salt-water crocodiles in Australia can grow to enormous size. 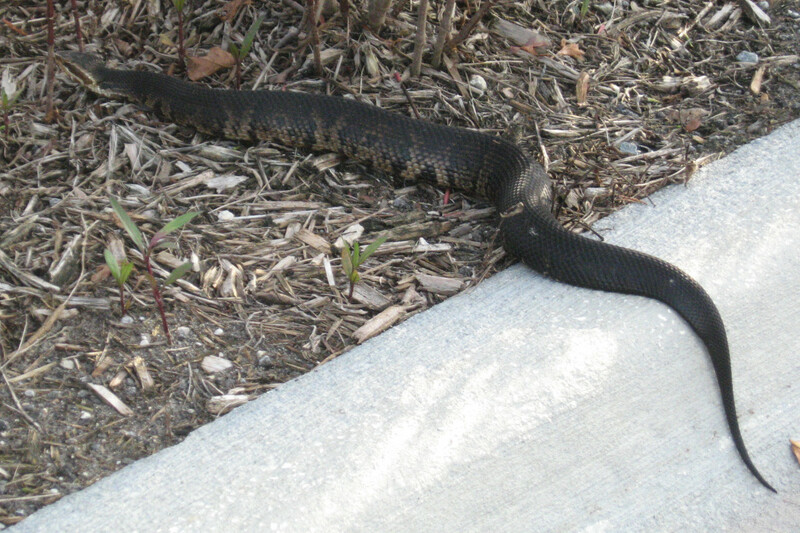 The one featured here in these photos is seventeen feet long. But the biggest I’d ever heard about was a twenty-four feet monster found dead on a Northern Territory beach back in the 1940s that had had been attacked and killed by a pack of sharks. It’s body had washed ashore. Careful, mate, you're heavier than you think. Little wonder the people gasp in amazement. 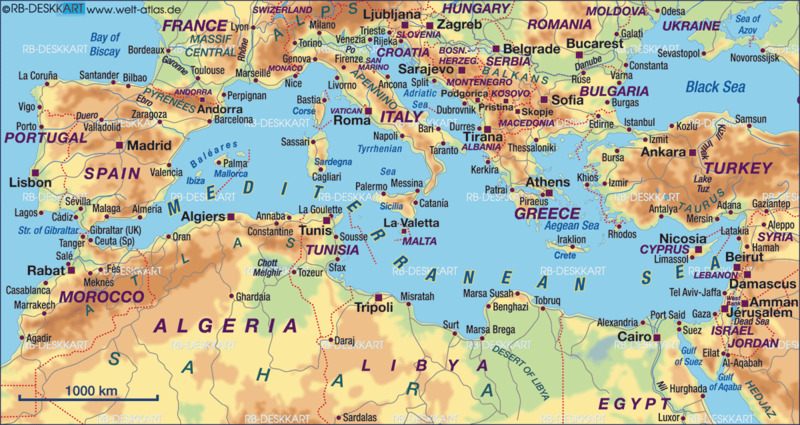 This is no doubt done for the tourists. Chita dedicated himself to a baby who grew into a giant. Apparently Chito made friends with this monster many years before. He found it lying almost dead on a river bank, it having been shot in the eye and left to die. When Chito found it is was so sick and weak that he did not really think that it would survive. However, with help from other fishermen he loaded it into his boat and brought it home. This kindly fisherman decided that he’d do all in his power to keep the animal alive and see to its recovery. 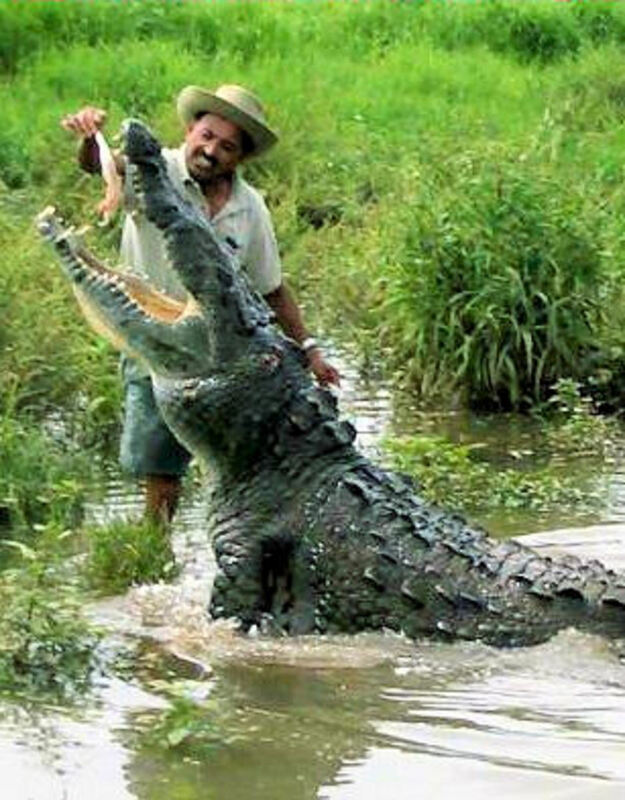 At that time Pocho, the name he gave the croc, was a mere 150 lbs in weight. Little more than a baby, really. Chito fed him up. Not only that, he stayed with this creature, sleeping next to it in its hours of need. You could say he dedicated himself to its welfare. Just who is smiling at who? There's some crocodile whispering going on here. Pocho walked out of the water and followed him home. Eventually the beast started to recover, and then to grow, and grow, and grow. Fed on fish and chicken, it never had to fend for itself from thereon. 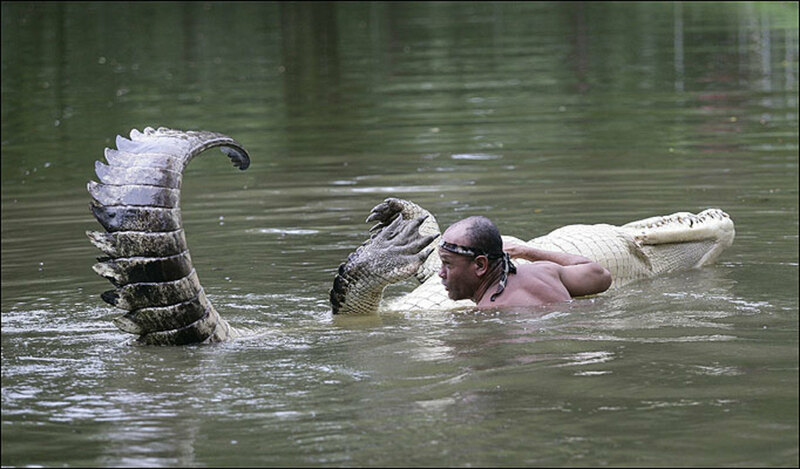 And as time went by, a great deal of time, the crocodile actually started to come out of the water to Chito when called. Of course, that’s not particularly remarkable when you consider the bond. But when Pocho actually walked out of the water to follow Chito home one night, the fisherman knew that this was something more than the usual man-crocodile relationship. Up, now, and you get a little something. This photo gives you an idea of the size of those great jaws. Four years ago, Chito went public. After many years, Chito took the risk. He went into the water with Pocho, and instead of being attacked, the huge animal came over and nuzzled him. Poch and he were friends. This, of course, had taken many years. Four yers ago Chito and the big croc went public. Now this giant ‘salty’ swims and plays with the man who saved his life. And, naturally enough, when word of it all got around, the pair became a tourist attraction. At time of writing, they still are. 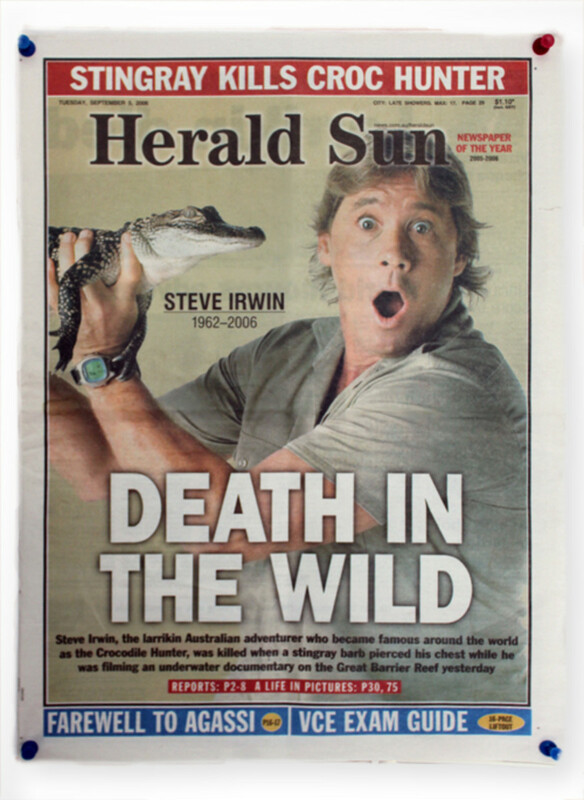 I hope you enjoyed reading The Australian Crocodile Whisperer. First @ Will Starr.....The photographers name was Timothy Treadwell. And only he was killed on his 13th summer of not only taking photo's of the bears and their habits, but with essentially living months on end with them. His girl friend was not killed, nor injured. She was not present in Alaska when this great lover of bears and all animals was killed by a near 30 year old bear, that was found to have bodily pieces of Timothy within his digestive tract. 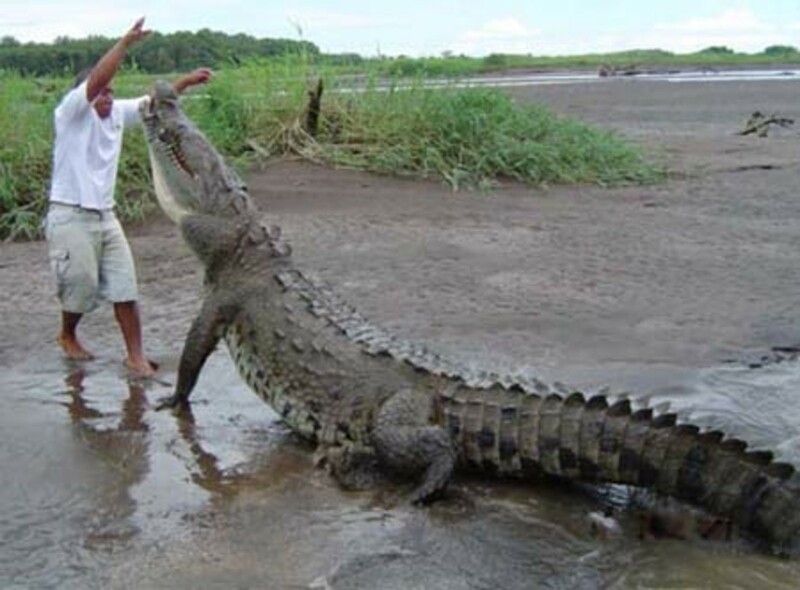 But to comment on this magnificent story of Chito the huge crocodile and Poco his guardian, which took place in Costa Rica. I have yet to ever run into a proven story of this kind! 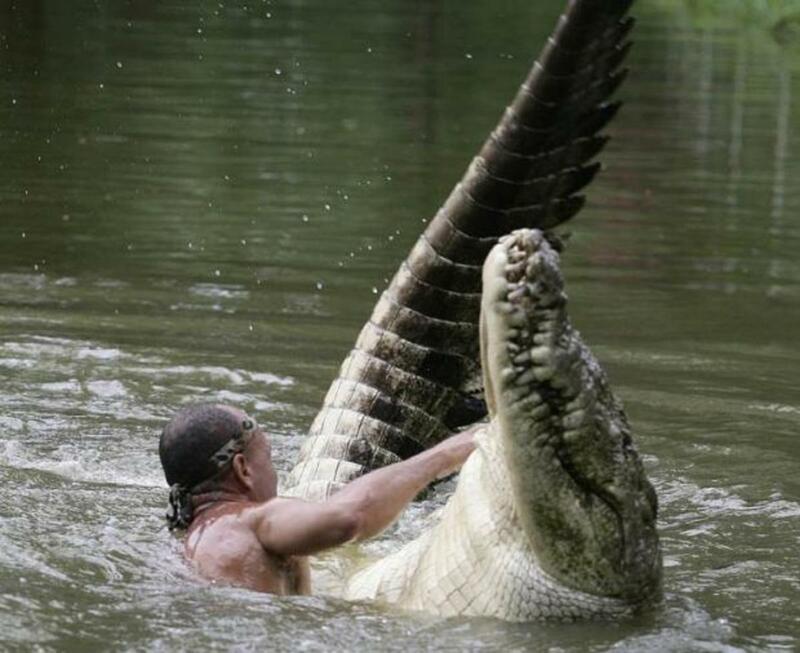 One in which a large crocodile was befriended by a human, who afterwards was able to swim, cuddle and pplay with him within the hunting territory this huge croc!! This is truly amazing on so many different levels. As the Crocodile is known to have no compassion for anything or anyone. This was a wonderful chance for a field study, but unfortunately this remarkable croc has since passed away. I'm sure some study material still exists in a Q and A with Poco. But it would have been a most exciting event to see it all play out in first hand. The video does answer many of the pertinent questions. Still, important facts like his diet, how he is feed, what he is feed and Chitos behavior when other people are within his territory. This and more study parameters would tell a lot about how and if the bullet wound to his head altered his normal aggressive behavior?! There are many questions, but more praise and honor to this man Poco, for his love and empathy for a animal of this sort. My hat is off to you, SIR !! When I look at these pictures I'm thinking, Costa Rica - could well be. If it were really Australian it would have been a well-known touristy thing here in Australia by now. Also, Chito and Poco don't sound like Australian names. Yep. I think I've been conned, too. Yes Sue, I would like the truth to... same pictures, same story.. but one in Costa Rica, and one in Cairns, Australia. Does Costa Rica have crocodiles? 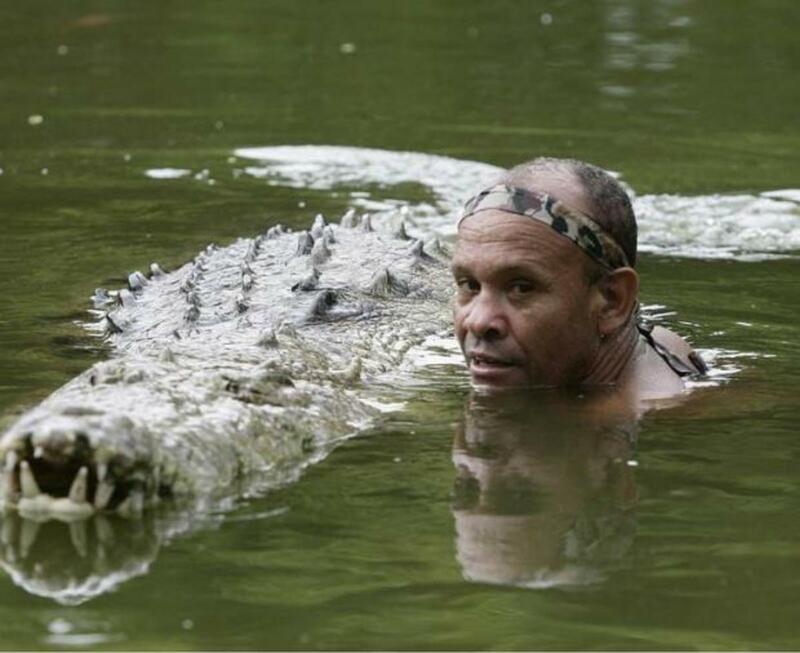 I am confused - the internet is full of this story but the man and his croc are from Costa Rica - NOT AUSTRLIA - can anyone explain? Love this tale Chito and Pocho, what bound between man and beast. Wow! Great hub! I can't believe the relationship that Chito and Pocho had.Incredible! Wow, I cant believe he got to control the crocodile, very humble. Great. Amazing and gobsmackingly stunning to learn about this. It just shows we don't know much about the animal's internal needs and the ability of the human to reach across the divide. It's not by chance that dogs and cats have been our domestic pets for millenia whilst most other animals never rate that category. We used to have a naturalist/photographer who lived with Alaskan Kodiak bears...until they killed him and ate him...and his poor girlfriend.